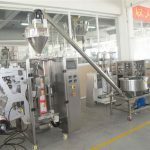 Pack Leader's volumetric filling system exclusively uses the delicate servo drive system to control the main filling structure to achieve the high stability and precise positioning. 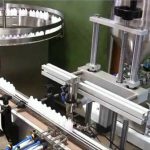 The vertical stroke of the filling piston movement aopts with our exclusive servo control system provides not only the long term energy saving result but also effectively create a great result of machine load rate reducing. 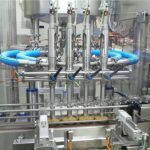 Tool-free production change when changing the filling volume; by key-in the desire number on the PLC gives users the best time saving result. 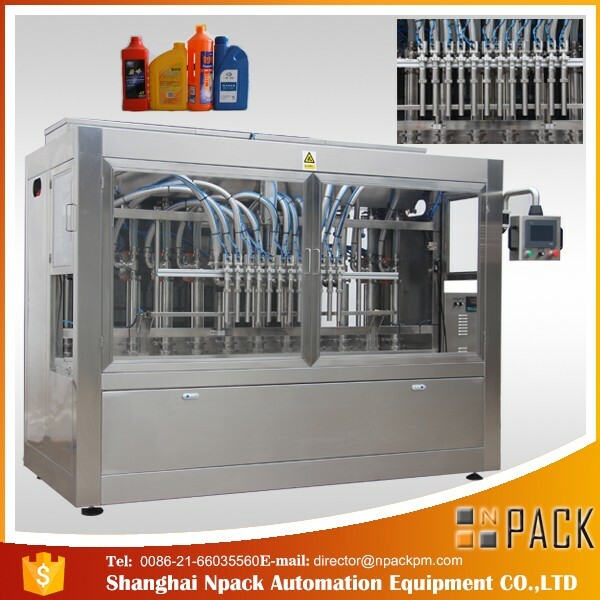 The delicate servo control system design can provide choice of above liquid surface filling, underneath liquid filling and bottle neck (opening) filling accordingly with different features of liquids. 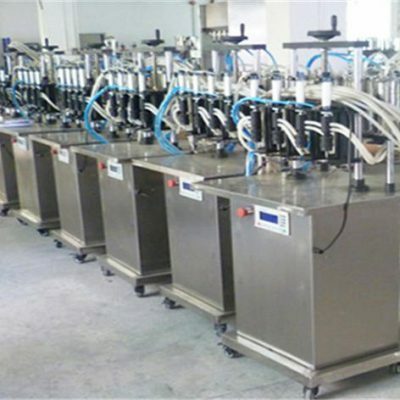 The delicate servo system precisely control the filling amount with precise piston stoke provides high filling accuracy, intelligent piston is designed with miner adjusting mechanism enable users to adhesive ultimate higher accuracy. 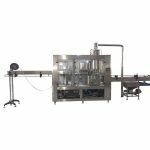 This filling machineis widely used for food,pharmaceutical,chemical,cosmetics and various industries. The personalized control panel system provides users an easy operation and an effective management result by production monitoring on the PLC. 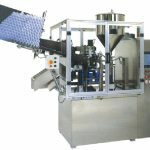 2.2 Controllable and various filling speed. 2.3 Accurate to ±0.5% ( with drinking water ). 2.4 Integrated digital control with Siemens PLC and Hi-tech Touch Screen controls for easy operation. 2.5 Designed for easy change-over and cleaning. 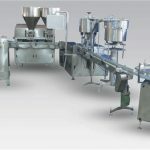 2.6 Professional manufacturing techniques using ISO-9001 system. 2.7Sturdy conveyer system driven by Panasonic motor. 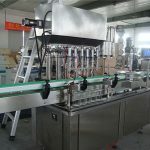 Adjustable conveyor guide rails to accommodate with different products. 2.8 GMP standard Stainless Steel. 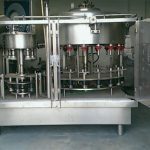 2.9 Bottle holding mechanism for the best position of the bottles before filling action. 2.10 No bottle-no fill system. 2.12 Warning light and buzz alarm to inform operator production error. 2.13 Filling zone protected by interlock guards for safety registration. 2.14 ABB circuit breaker for the protection when overload. 2.15 Memory slots for storing filling parameters for future operation. 2.16 Easy to install and operate, it only requires minimum maintenance for maximum performance and a long filler life time. 2.17 Quick change of volume with digital readout. 2.18 Delicate filler structure and finish comparable with European machines. 2.19 Volume set can be changed on the touch screen. Filling pistons are controlled by servo system. 2.20Individual piston adjustment for fine tuning. 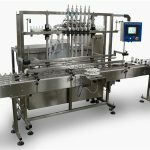 2.21 Digital control system to enable multiple filling actions on the same bottle for double, triple and more. 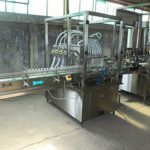 2.22 Fully automatic rise for nozzles, adjustment can be done on touch screen. 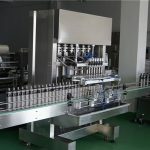 2.23 Nozzles can set to be above bottle mouth or bottom up, synchronizing with liquid level (beneath or above) to eliminate bubbling of foamy liquids. 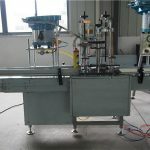 2.24 Adjustable speed while filling, it can fill slowly at the beginning and then accelerate to faster speed, finally slow down once again to finish up. This can prevent foamy liquids from bubbling and avoid spillage.